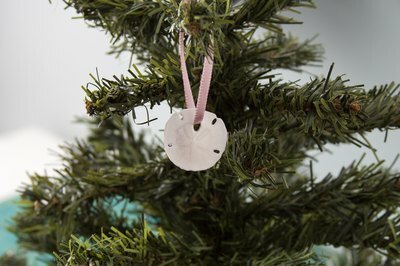 Sand dollars, with their star-like decorations and simple flat shape, make attractive decorations for a nature or beach-themed Christmas tree. The religious legend of the sand dollar and its symbolism in the Christian religion make it an appropriate decoration for this time of year. You can gather sand dollars on the shore, or purchase them from a beach or craft shop. Children can participate in decorating the sand dollars for the tree, or to give as gifts to friends and relatives. 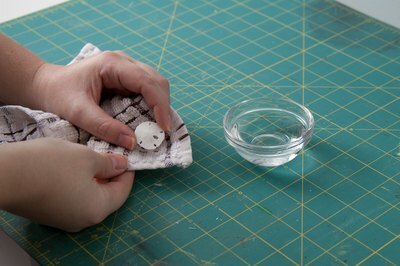 Clean your sand dollar by soaking it in a solution of 2 tbsp. bleach in 1 qt. water. Allow to soak for a few hours or overnight. Rinse and allow to dry. This will give your sand dollar a nice white color. Leave your sand dollar plain or decorate it by gluing on glitter, beads or rhinestones. Or spray paint your sand dollar with gold or silver spray paint. 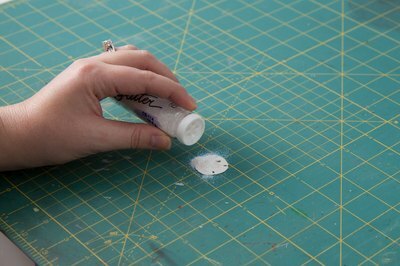 If you paint the sand dollar, poke a bent paper clip or toothpick through each hole in the sand dollar while the paint it still wet to clear paint from the hole. Sand dollars have five holes in them which occur naturally and are part of the design on the shell. 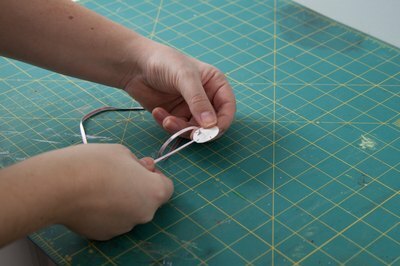 Thread the ribbon through the largest hole in the sand dollar and knot the ends to form a loop. Your ornament is ready to give as a gift or hang on your tree.